Oh my goodness… you have the start of something wonderful! 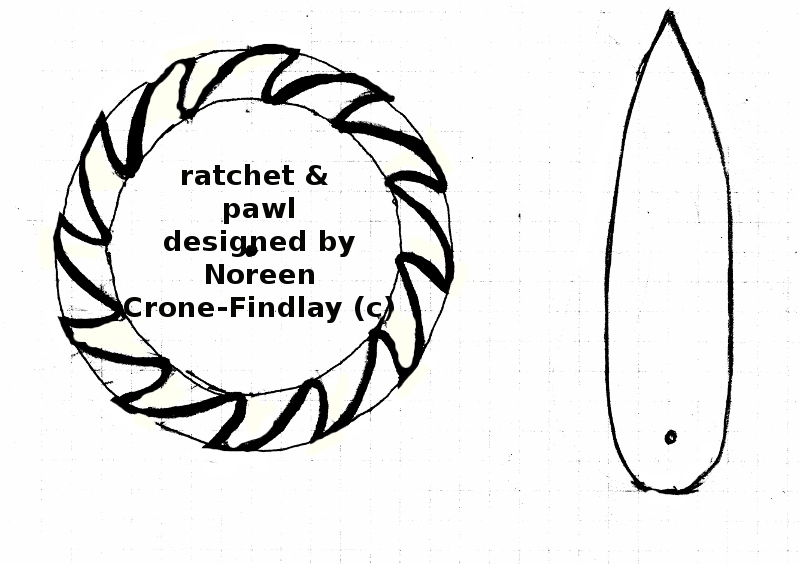 You’ll need to trace the ratchet and make it’s partner, and two pawls. 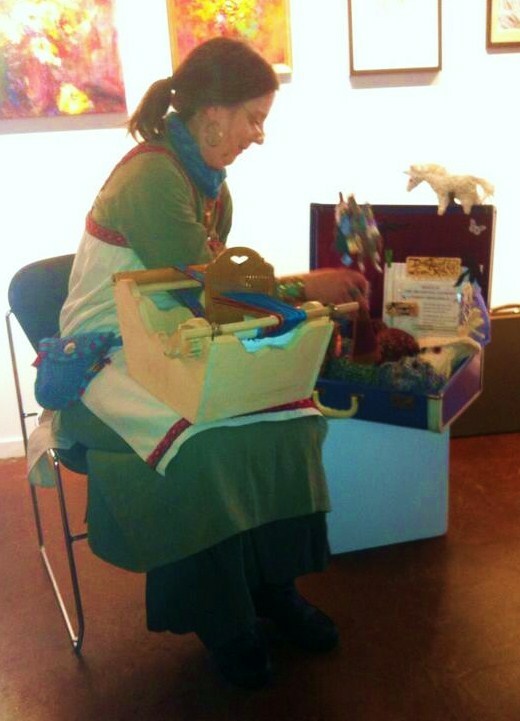 You’re so creative that I imagine that it won’t be long before you’ve built yourself a magical little loom! Looking forward to seeing what you come up with! What an amazing work of art, and a way to make a loom out of a precious piece of wooden family history! Thank you, thank you 🙂 And, the joy of it is that it is so wonderful to weave with, so it will be the source of so much happiness! nice. I wrote the book, tape loom weaving… simplified. I like your home made loom… just what people would have done is to have used what they have. It is so simple really. 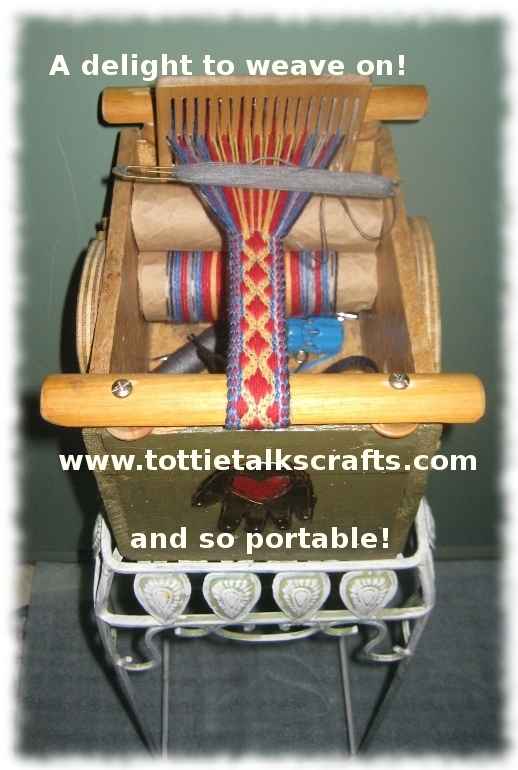 I am going to link you to my pinterest page of tape looms! I wish I’d seen this to show to the friend from whom I commissioned a box loom a few months ago! It’s finished now, though, and I take delivery in 2-1/2 weeks… 😺 I’m still going to share this with him, though; my box loom is the first he’s made, and he plans to make more now he’s worked out how to do ’em (and after I use mine & give him feedback!). 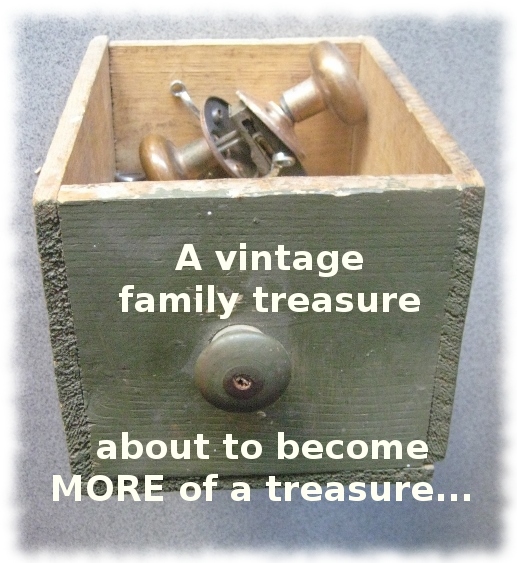 Yours is lovely, and so nice to be upcycling a “family treasure” too! Thanks so much, AmyCat. 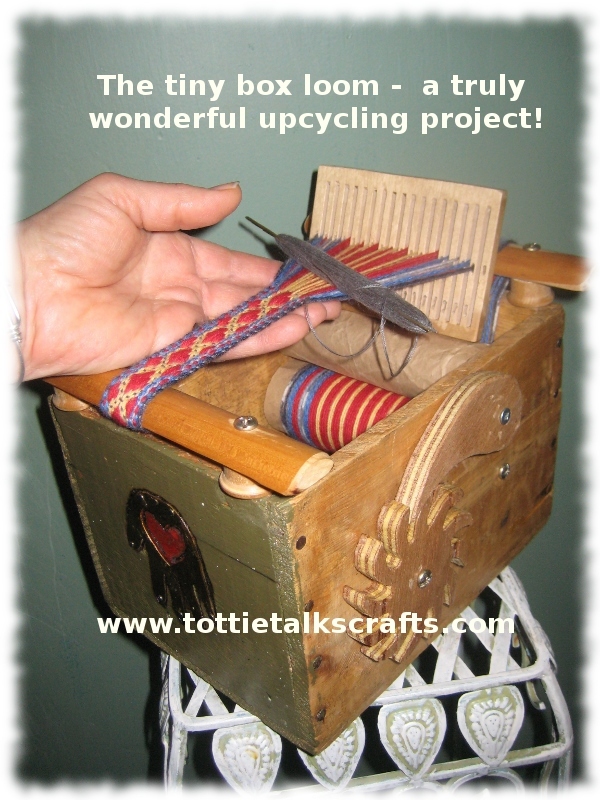 I have done another upgrade to my little box loom and it’s even more wonderful…. I will do another blog post on it!